I have a pretty good selection of power tools, but what good are they if there is no power? 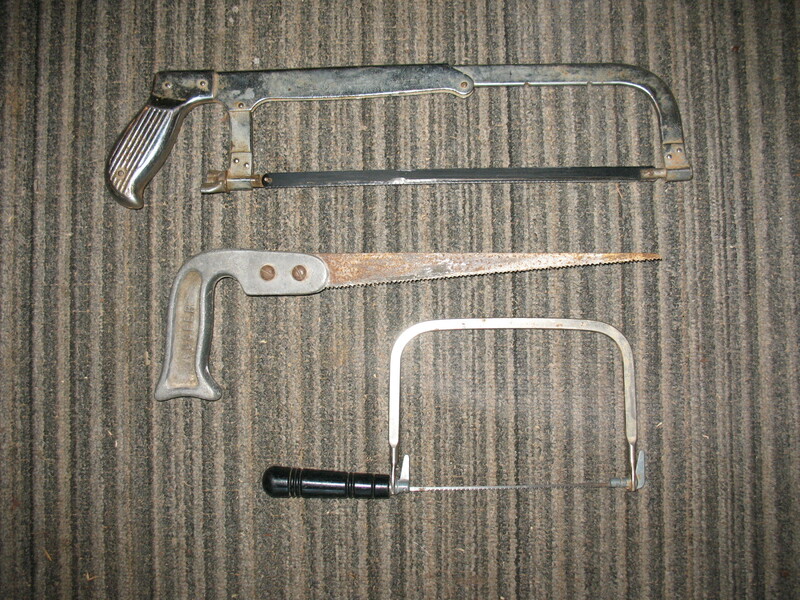 In the event of a long term meltdown of the power grid I like to keep a good selection of hand tools. Hand tools, of course, won’t do the job as fast as power tools; but they will do the job. After all, houses were built, furniture was built, and wagons were built long before the invention of power tools. 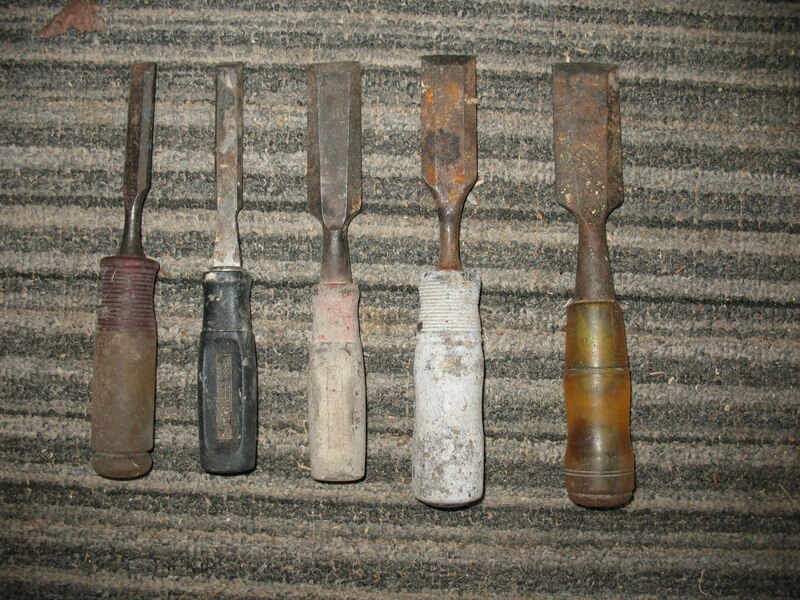 Most of my hand tools are old. I have picked them up at garage sales and junk shops, and some I have inherited from my dad, granddad, and uncles. 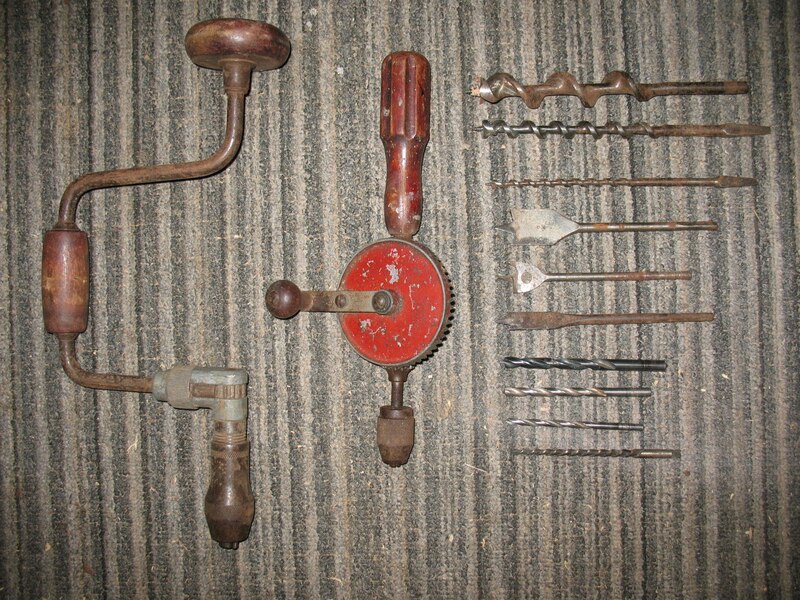 Some of the tools probably date back to the late 1800’s and early 1900’s, but they still work fine. 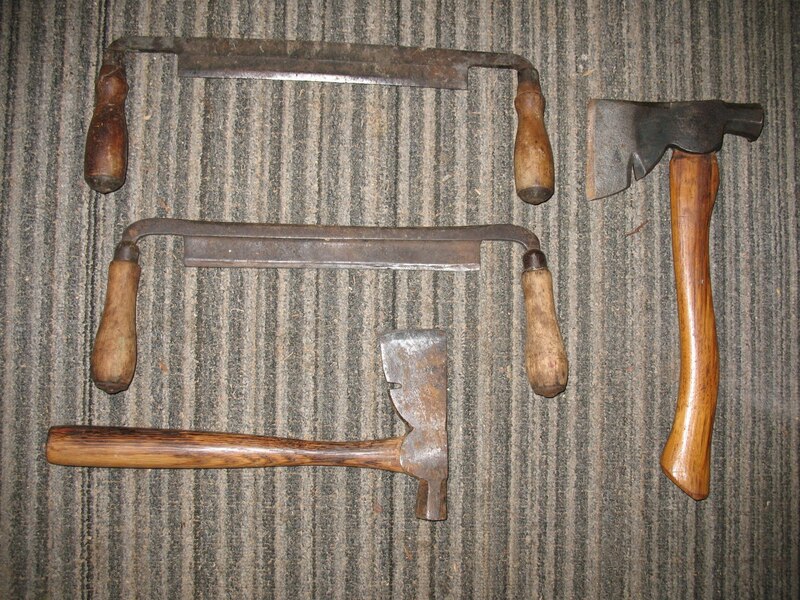 Pictured below are a few of my hand tools that I use for wood working. I also have tools for metal working and auto repair. Here are a few of my saws and a miter-box. The miter box is used in conjunction with a hand saw to cut angles (like a 45 degree angle) on boards. 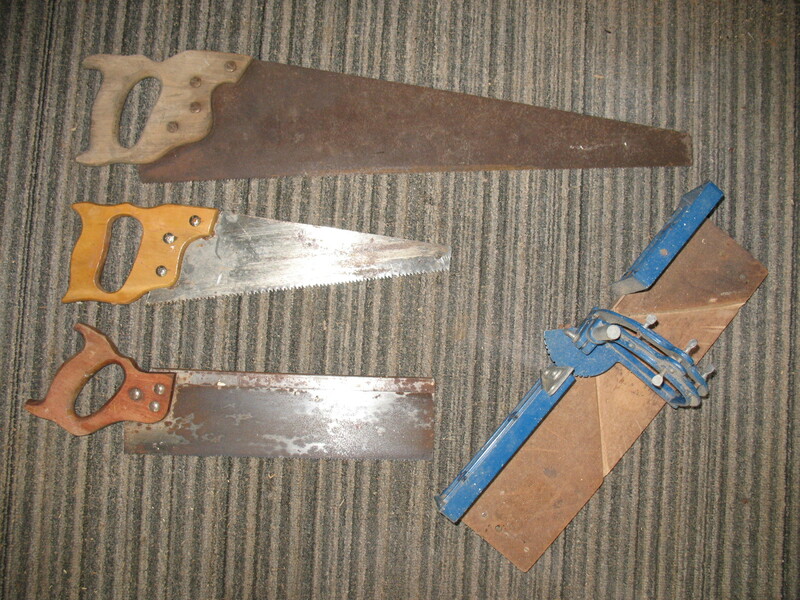 Draw knives and hatchets can be used to rough shape wood and are also useful for bow making. Wood rasps are also used to shape wood. Old time braces and hand drills work almost as fast as a power drill. Sometimes if I’m just drilling a few holes I will grab one of my old hand drills rather than go to the trouble of digging out a power drill and rigging an extension cord. Once my son and I were hanging a gate and it was far away from an electrical outlet. I showed him where we needed some holes drilled in the gate post and handed him an old time brace and bit. He looked at me like I was nuts, so I showed him how the brace and bit worked. He drilled the holes in a few minutes and was amazed at how easy it was. Pictured below: A brace, a hand drill, and several different kinds of drill bits. 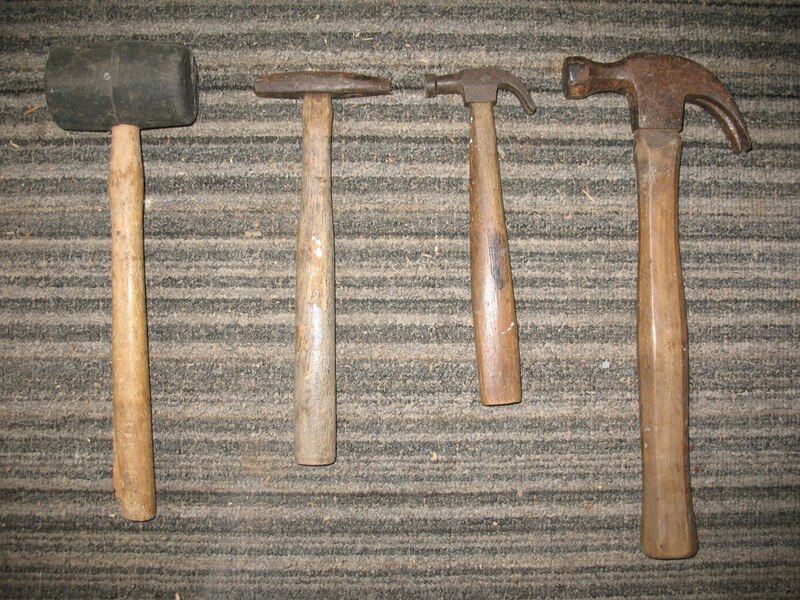 A good collection of different types of hammers is very useful. 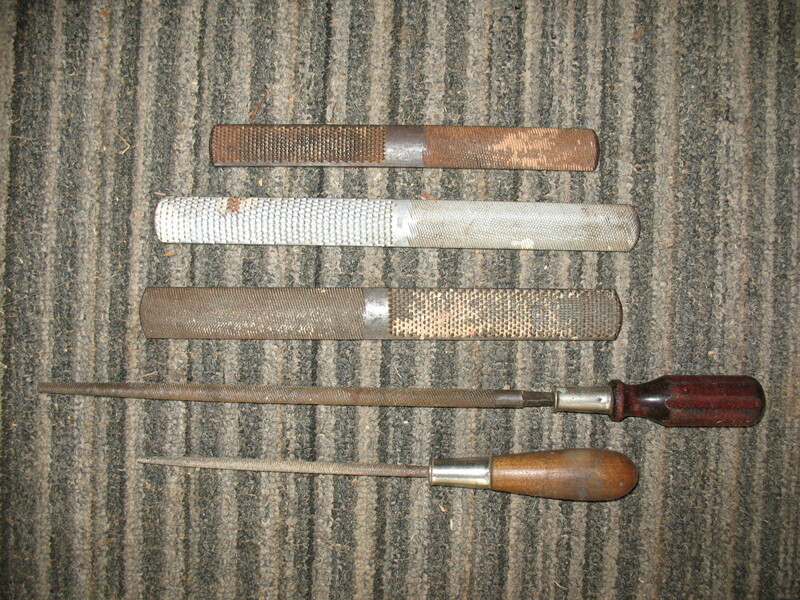 Wood chisels can be used for shaping wood, and cutting grooves and mortises. 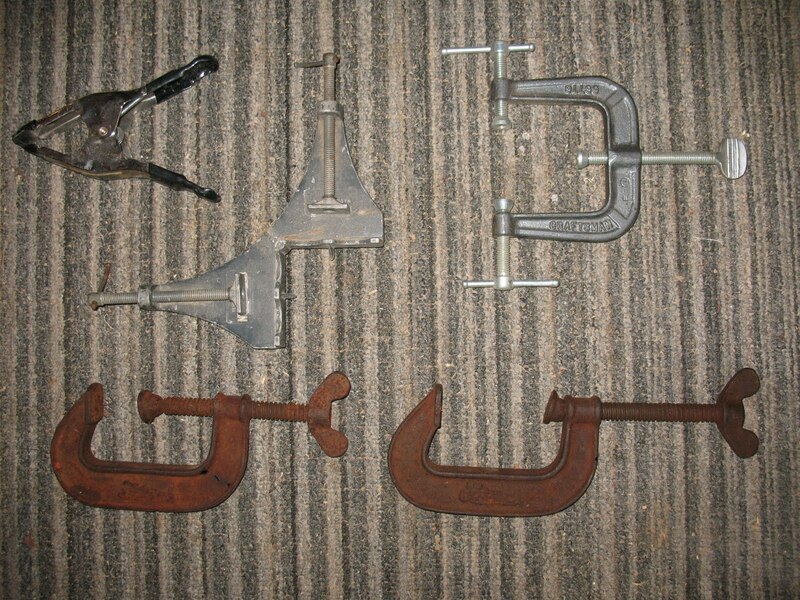 These are just a few of the many different types of clamps that I have to hold things together while drilling, gluing,or nailing. If you are interested in long-term preparedness, I would highly advise you to start collecting hand tools to use on both wood and metal. It doesn’t have to cost you a fortune if you will keep your eyes open for good deals on used tools. Thanks for explaining the tools which is necessary for shop. Great Article!